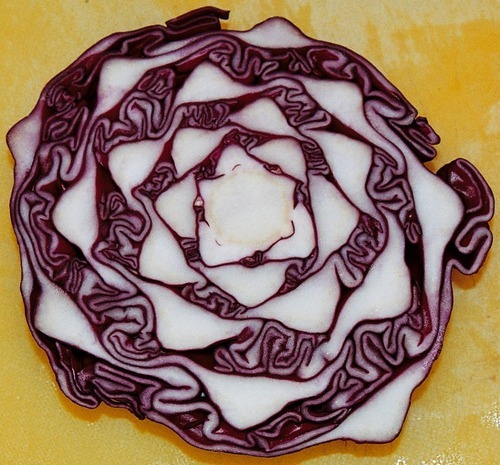 Staying with the food theme, here's a picture of a red cabbage which I think is a work of natural art. I finished this painting last night after starting it about a year ago. It's not a great photo of it. 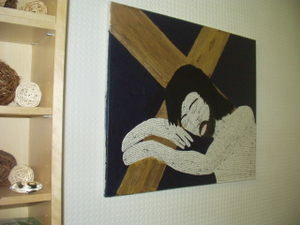 The body, arms face and neck are made of up words that come to mind when I think of Jesus.